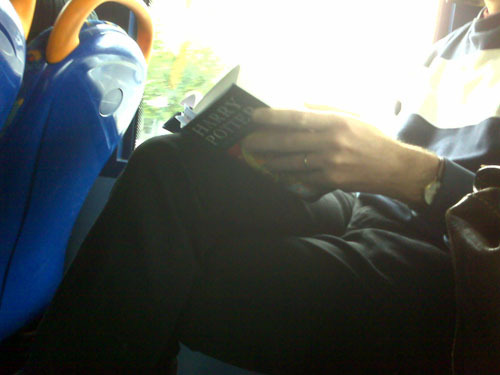 Every day this week I’ve seen people reading the new Harry Potter book (Sylvia on the other hand takes the road less chav’elled and hasn’t seen any). With this being the last in the series, it may be the last season of Potter Spotting in England so I’m glad I had a chance to see it. C’mon man, it’s been 6 days since its release! How slow a reader are you? * purchase of Â£50 of groceries required. 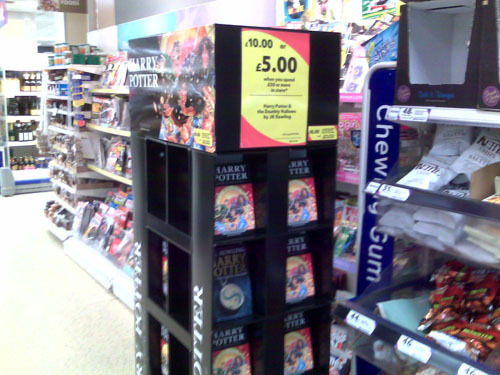 Who the hell spends Â£50 at Tescos Express? Oh, and in case you’re wondering, Harry Potter dies. Previous Previous post: Love that Summer!